BridgeTEFL, the teacher-training division of Bridge Education Group, offers a portfolio of credentials and professional development options for ESL/EFL teachers. Our TEFL/TESOL programs are designed for those who plan to teach English abroad or online, as well as for current teachers looking to advance their careers in teaching English to speakers of other languages (TESOL). Bridge currently partners with universities in the US and abroad to offer joint TEFL certification, university credit, scholarships, and pathways to graduate-level degrees for students of the classroom-based Bridge International Diploma in English Language Teaching (IDELT) and the Bridge IDELTOnline™. To further expand the scope of opportunities for professional teachers, Bridge has undergone a rigorous review process with the prestigious American Council on Education’s College Credit Recommendation Service (ACE CREDIT®). Established in 1974, ACE CREDIT helps adults gain academic credit for courses taken outside traditional degree programs. They do this by providing reliable course equivalency information to facilitate universities’ decisions to award academic credit. After a thorough evaluation and review process, ACE CREDIT has recommended college credit for the following BridgeTEFL certification courses. Indeed, qualified graduates of any of these programs can now request a transcript from ACE CREDIT, outlining the number of undergraduate or graduate-level university credits for which the course has been recommended. Graduates can then present the transcript to any of the more than 2,000 colleges and universities that consider ACE CREDIT recommendations, thus opening the door to bachelor’s, master’s, and even doctoral-level studies. These recommendations by ACE, the major coordinating body for all the nation’s higher education institutions, is in line with BridgeTEFL’s position as an educational institution with established roots in the field. Our center locations in Denver, Colorado; Santiago, Chile; and Buenos Aires, Argentina and have been providing services such as teacher training and language instruction since our inception in 1986. 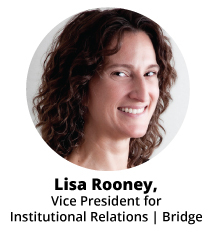 Bridge also continues to expand its reach through global partnerships that include the Bridge Authorized Training Center model, which makes blended teacher certification courses available at a growing number of locations around the world. 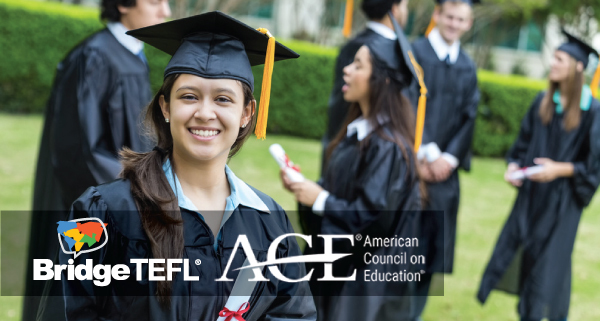 For more information on BridgeTEFL courses and ACE CREDIT, please visit https://bridge.edu/tefl/course-ace-credit.